42 in. lacquered wood handle won't splinter. Kid-sized for ease of use. 100% Made in the USA. The True American line of tools stands for quality and value. 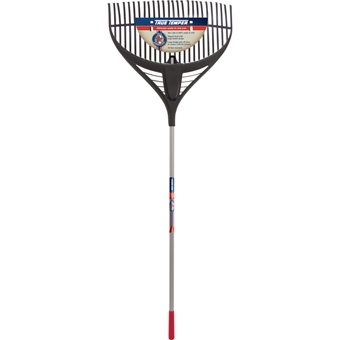 This 26 inch basket style poly leaf rake provides improved raking and gathering. 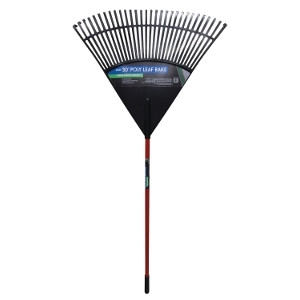 The vinyl coated 60 inch steel handles provides a long reach and is durable. The end grip adds comfort and control. 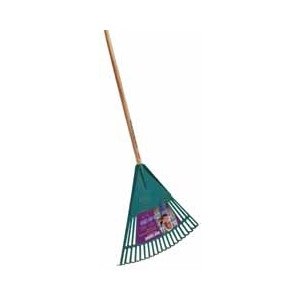 Durable tool with cushion grip handle and 30 inch flexible poly head.